PLEASE CALL THE OFFICE TO VERIFY DR. MATHUR'S HOURS IF YOU PREFER TO SEE HIM ONLY. Navdeep Mathur, MD, MPH, FACP provides primary care for adults in Manassas, Virginia, offering routine physical exams and management of chronic conditions such as diabetes, high blood pressure, high cholesterol, heart disease and more. We are also certified to provide DOT physicals. Our doctor is tri-lingual, speaking English, Spanish, and Hindi fluently. Call today to get the professional and caring medical attention you seek. We do use a secure electronic medical record (EMR), Practice Fusion, that will enable us to provide our patients with the best possible medical care. We are now accepting new patients. Whether you just need a preventative health exam or you have a disorder you need medical care for—we're here to help. Our facility is able to perform lab tests (in the office) for a number of medical disorders. 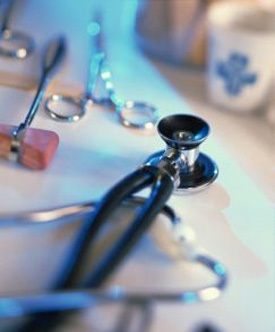 EKG, spirometry, TB testing and blood work for allergies are some of the routine services provided. Please check with your insurance carrier for their preferred lab. Self-pay options also available. Dr. Navdeep Mathur has been a local of Northern Virginia for 20 years. With 13 years of experience, our board-certified primary care doctor has a passion for offering primary care services. He has privileges at Prince William Hospital. Holding a strong belief in preventive and evidence-based medicine, our physician encourages a lasting doctor-patient relationship with you to help keep you as healthy as possible. Please note that patients interested ONLY in seeking restricted medications (narcotics, anxiety, ADHD meds, etc.) will be referred to the appropriate specialty. Dr. Mathur DOES NOT write for these medications.